It’s a rare day when I’m not in some sort of shop to buy food, whether I’ve been corralled into the newsagent’s to buy a packet of crisps for my son, or pop into the butcher for a chat and a chicken breast and leave with a five pound roast instead. This week, as I’ve gone on my food buying travels, I can’t stop thinking about the program I watched on Monday night, a re-play of RTE’s documentary What’s Ireland Eating? presented by Philip Boucher-Hayes. Now, I’ve been known to moan about RTE in the past (particularly in the realm of sports commentary…) but I think they do factual programming really well and this show is a prime example. Irish residents who missed the show can watch it here. Boucher-Hayes starts with the micro by examining the facts and figures associated with the average Irish shopping trolley (man, we eat a lotta pork) and moves to the macro by exploring the effects of Irish consumer choices on the economy. There were a lot of figures and health warnings thrown around, but the program was hardly devoid of emotion – especially when we meet Nigel Renaghan, the county Monaghan chicken farmer whose family is entirely dependent on the current market price of Irish chicken, which is constantly being driven down by imports. The takeaway message of the program is pretty simple and makes a lot of sense for your health and for the economy: make like a character on Portlandia and keep it local! It might cost and extra euro here or there, but it’s worth it. – It’s probably the American in me, but I can’t get enough of CrackBird. Great for lunch with the girls or late night nibbles. I dream about the soy garlic chicken, all sourced from Ireland. 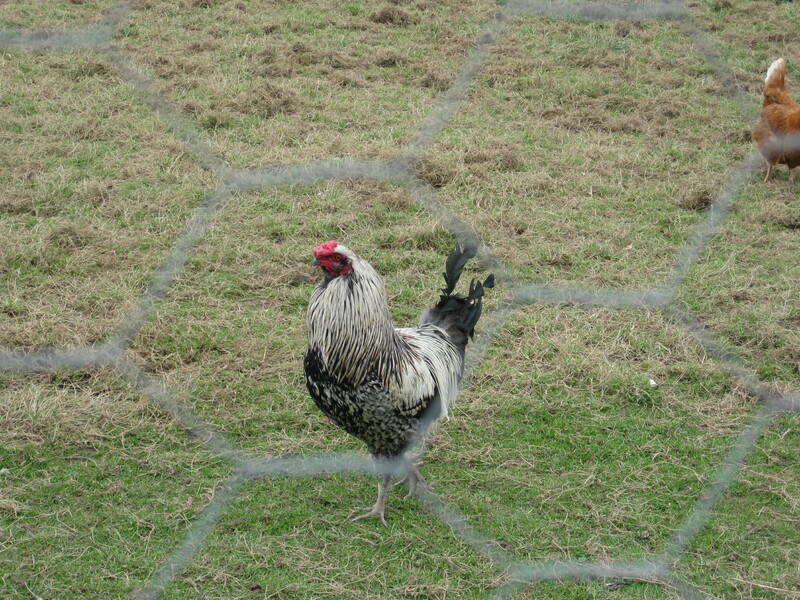 – I also love the very family-friendly Hen House in Dun Laoghaire. A bracing walk on the pier, fresh sea air, and free-range Irish buttermilk chicken tenders – bliss! – For value, I think Supervalu is fantastic…they sell a whole, free-range Irish chicken for €8 – brilliant. They also sell lots of chicken from Cootehill Farms, which is, I believe, where CrackBird sources its chicken. I can get three meals out of a whole chicken, especially since I got a good set of knives and learned to joint one myself. And once you’ve bought that lovely chicken and filled your home with it’s gorgeous roast chicken smell (better than perfume, I think!) here’s a recipe for your leftovers from my Cookbook of the Week, Economy Gastronomy. I love Allegra McEvedy’s Arroz con Pollo because it’s a one pot wonder, it has fantastic Spanish-inspired flavours, and is a brilliant use of leftovers. Also, I’m a sucker for any recipe that lists beer as an ingredient. Happy cooking!